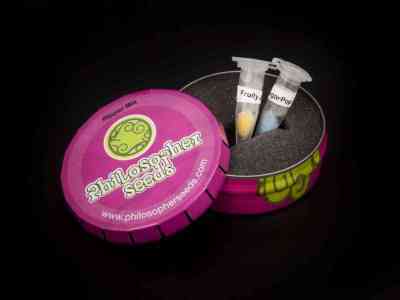 Ripper Mix contains 4 feminized cannabis seeds of Philosopher Seeds’ Golo Line collection. It includes strains in which they’ve used their Jack the Ripper male. Both strains stand out for their high yields and amazing resin production. It is doubtless the ideal mix for resin extractions. Each strain is properly labeled so you can easily identify them.